Recognizances & certificates of good character. Pub landlords were regarded with some suspicion by the authorities who feared that they might run disorderly houses or, worse, engage in criminal activities. During the 17th and 18th centuries licensing magistrates increasingly required that publicans submitted recognizances and certificates of good behaviour, before they were granted their first licence. Their outlook changed over time and each set of magistrates seems to have had different requirements. The examples here are from the London parish of St Giles. With recognizances publicans had to declare that they would not keep a “disorderly house” and, curiously to modern eyes, prohibit games of bowls, dice, football and tennis. They also had to provide a surety which might be forfeit if they did not obey the rules. 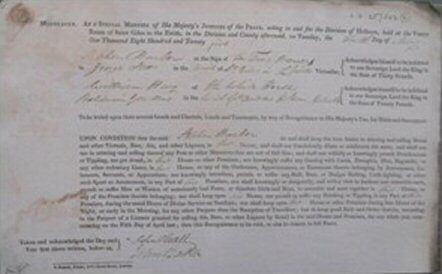 Surviving examples give the names of both the publican, the man standing surety for him and the amount of the bond, generally £20. In addition publicans had to provide a certificate of good character before they took over a pub. 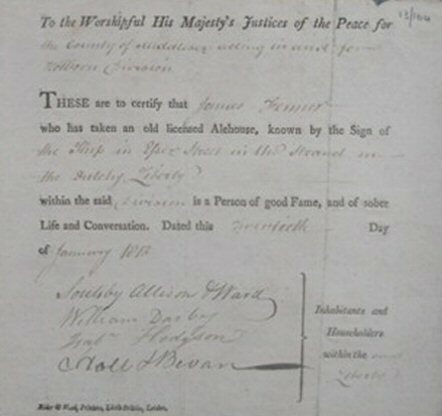 This might be signed by the churchwardens and up to eight local citizens who attested to the individual’s probity. The chances are that these citizens were either neighbours or local publicans. When licences became much easier to acquire as a result of the Beer Houses Act of 1830 these character references fade away and don’t seem to have been issued again when more rigorous licensing was introduced in 1871. The best guide is Jeremy Gibson and Judith Hunter’s, Victuallers’ Licences (3rd edition, Family History Partnership, 2009). Victuallers’ Licences – are undoubtedly the best source for tracing publicans because you can follow their career year by year. Technically the licence was for the building itself (hence the phrase “licensed premises”) so the records are arranged by pub (often referred to as “the sign”) rather than the individual. 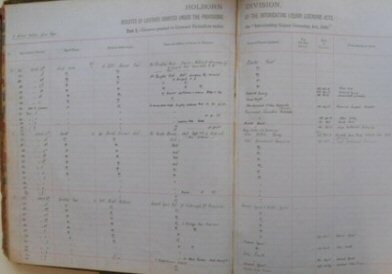 The licences and related records are at local archives. You should look for them in the papers of the Quarter and Petty Sessions or in records of magistrates’ courts. Several related sets of records which generally come under the heading of Victuallers’ Licences: registers, recognizances and certificates of good conduct. 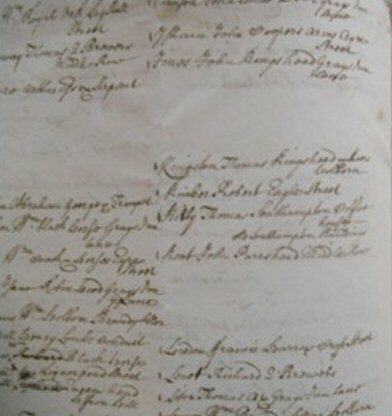 The physical appearance of the documents themselves changes over time and from area to area, but they will always give the names of the individual and the public house (often referred to as the “sign”). The granting of licences was recorded in registers. Those kept before 1828 are rarely informative and most only start after 1753 when magistrates were reminded that they had to keep records. They will confirm the public house your ancestor ran, but by going through the records year by year you can find when they started and ended their tenancy.